“The gentle and elegant lines of this Karmatan, designed by the great John Alden, easily hide the reality of a plurivictorious ship at its youth”. 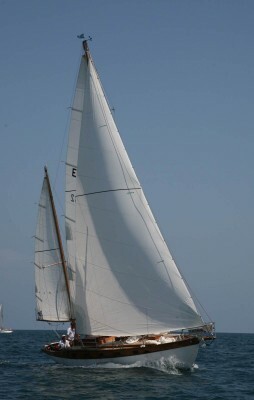 This full keel, ending in a very safe and sheltered bath, seemed more typical of a quiet cruise Nicholson from the twenties than from a “racer” eager to achieve all the victories of the 50s-60s. 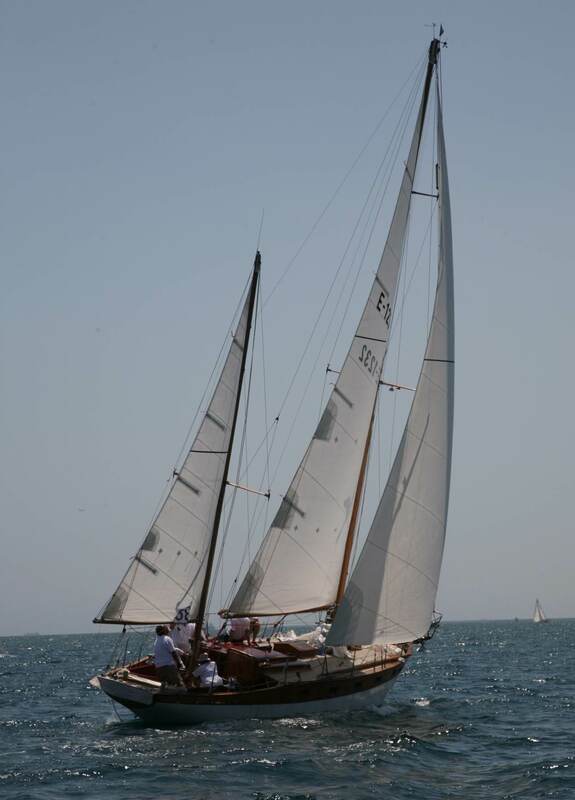 She has won three times the Giraglia, one of the most difficult and popular regattas of the Mediterranean Sea. From these ones, the regatta of 1962 was the first Giraglia won by a Spanish boat. Her skipper, Mr. Jacinto Ballesté was laureated by the sports authorities. Nowadays, after a long period of oblivion and a lengthy and commendable restoration, she sails again among the best yachts in hands of her new ship owner D. Ricard Bedmar.